Huge Savings Item! Free Shipping Included! 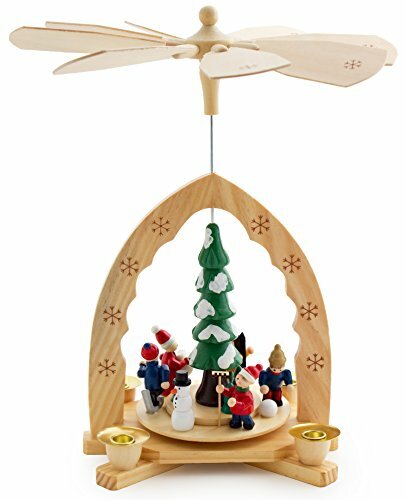 Save 15% on the BRUBAKER Christmas Pyramid 12 Inches Nativity Play - Christmas Scene 'Under The Christmas Tree' - Handpainted Figures - Limited Edition - Designed in Germany by BRUBAKER at Two Clock. MPN: Pyramide_Christmas_Tree_USA. Hurry! Limited time offer. Offer valid only while supplies last. The Design by Henry Brubaker is inspired of the old traditional German craftsmanship. Here, the natural material wood in a loving way is enchanted. 4 candle holders - Minimal assembly required.